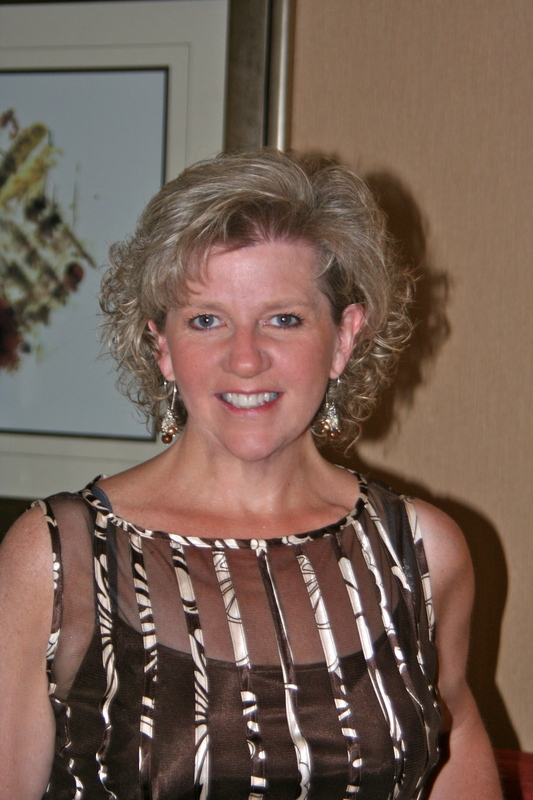 Once again Maggie, author of the Pony Mama blog joins us today. When I first started working for Maggie we worked in a complex of two high-rise residence halls. As part of the orientation process, the fire department came to talk to us about alarms, extinguishers and evacuation procedures. In order to show how the building’s alarm system worked they looked for a volunteer to pull the alarm. Maggie quickly spoke up that as the daughter of a fire fighter she had never gotten to pull an alarm. When she did you could tell it was truly forbidden fruit. And now…..Maggie! Between growing up with a firefighter father and working in colleges for the past 26 years, I’ve had a lot of chili in my life. Dad would often try out “engine house” recipes on us. And I’ve been to more tailgates and chili-cooks offs for work than I can ever count. So, I’ve had to perfect a chili recipe. In order to lighten things up, I’ve experimented with ground chicken and turkey, and find that I prefer it to beef in chili. My sister had the brilliant idea to add spaghetti sauce and wine, and those two final touches made this just right. I love that this is on the sweet side, but you can easily turn up the heat by adding Cayenne to taste. The wine adds a delicious richness. And the crunch of corn in chili is super awesome. 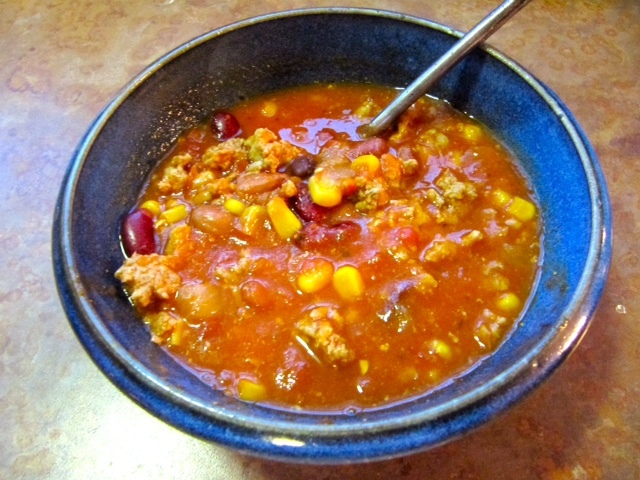 This recipe makes a LOT of chili, but it freezes very well, so bundle some up for later. It comes together pretty quickly- you can be sitting down to a bowl about forty five minutes. The most time consuming part is opening all those cans! I’ve won two cook-offs with this recipe, so I guess it is fair to call it Award Winning if movie tickets count as awards! In a honkin-big stock-pot sweat the onions and garlic in olive oil over medium heat until translucent. Add chicken and turkey and cooked until browned. Do not drain- leave the juices in the pot. They are not fatty- just flavorful. Stir in wine and sugar, and bring to a boil. Simmer for 5 minutes. Add spaghetti sauce and crushed tomatoes and simmer for 20 minutes. Gently stir in beans, corn and Cayenne. Stir gently so you don’t crush the beans. Cook until beans are heated, or until desired thickness. Serve with sour cream, shredded cheese, tortilla chips or corn bread. Reblogged this on WE FIT TOGETHER. This looks YUMMY. I plan to try it. I’ve never had anything but beef or bean chili. Churkey sounds exotic to me! Love the addition of wine and how this recipe comes together so quick.